This book provides extensive insights and analysis into pricing models for autonomous manufacturing. Taking a cost engineering approach, it shows how businesses facing technological change can provide visibility to pricing sensitivity and maximize price, and profit in every transaction. The book pulls together the many elements of cost engineering; cost estimation, cost control, business planning and management, profitability analysis, cost risk analysis and project management, planning, and scheduling, and considers the many different approaches and methods for estimating or assessing costs. It aims to help companies with decision making, cost management, and budgeting with respect to product development, and highlights the importance of cost estimation during the early stages of product development. 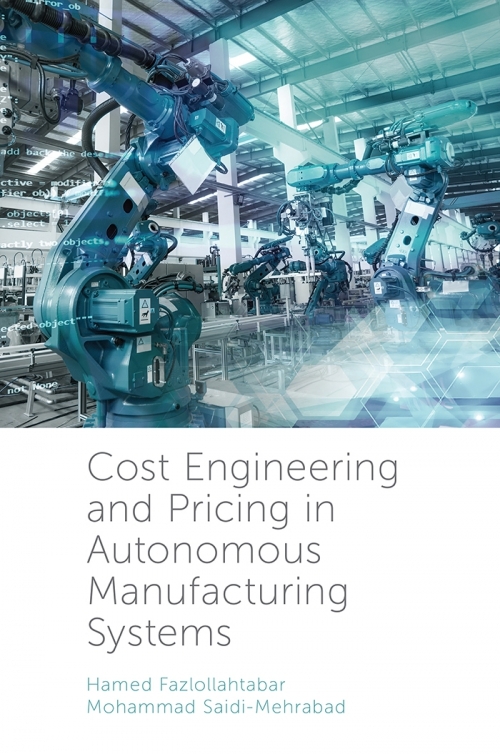 A discussion of appropriate pricing models is also included to determine the most effective course for handling operational costs in autonomous manufacturing systems in order to create a more productive and profitable system. Cost Engineering and Pricing in Autonomous Manufacturing Systems will provide new insights for researchers and students, as well as industrial practitioners interested in applied models which can be employed and implemented in real cases. Hamed Fazlollahtabar works in the Department of Industrial Engineering at Damghan University, Iran. His research interests include autonomous robot path planning, reliability engineering, supply chain planning, and business intelligence and analytics. Mohammad Saidi-Mehrabad is Professor of Industrial Engineering at Iran University of Science and Technology, Iran. His research interests include cellular manufacturing, advanced manufacturing, economic analysis, and cost modelling.